Enagás and the Empresa para la Gestión de Residuos Industriales (Emgrisa) are collaborating on a project to promote the development of biomethane. The companies have initiated a feasibility study at one of Emgrisa’s waste treatment plants, located in the municipality of Juzbado, in Salamanca. The aim is to possibly adapt this facility so that it can produce biomethane from the biogas that it generates. 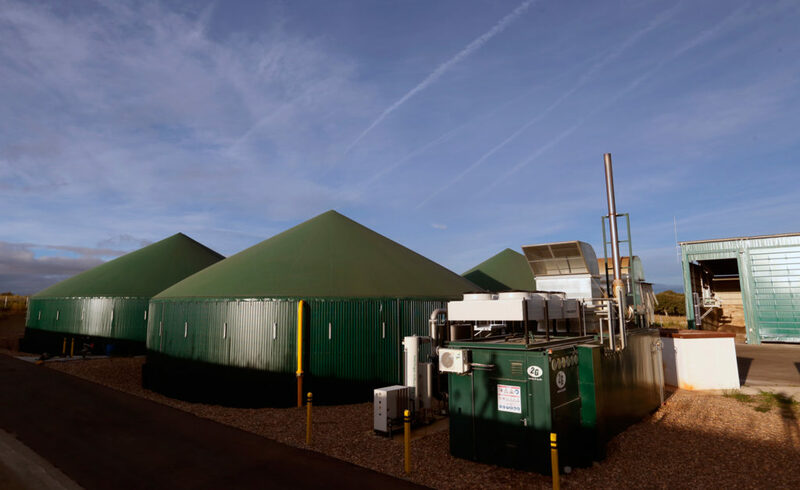 Biogas contributes to the development of a circular economy, as it is the result of efficient waste recovery. It is generated by the anaerobic decomposition of wastewater and solid municipal waste, and waste produced by the agriculture, livestock farming and forestry industries. After being purified through a technological process called upgrading, it becomes biomethane. This renewable gas can be transported through the gas infrastructure or used in industry or as a sustainable fuel for vehicles. The project represents another step towards Enagás’ commitment to developing non-electric renewable energies (biogas/biomethane and hydrogen) as key energy solutions for the decarbonisation process The project is also part of the company’s commitment to promoting a circular economy and waste recovery. For Emgrisa, a subsidiary of the ENUSA group, part of the SEPI holding company, this initiative means aligning itself with the objectives of the Spanish Government in terms of the recovery of organic waste, strategy against climate change and circular economy strategy, as well as strengthening its business objectives in terms of biogas production. Biomethane is a clean and renewable energy and will be one of the many topics addressed at AltFuels Iberia 2019, taking place on 11-14 June at IFEMA Trade Fair Center, in Madrid. It will be an event consisting of first level conferences and exhibition of vehicles of all kinds, refueling stations, components, plants, road and marine engines, as well as the entire universe of the alternative fuels industry with the latest technological developments, multiple options for networking, business and new advances. For more information, please contact info@altfuelsiberia.com.